Art on the Brix is a casual yet upscale studio is in the heart of historic Golden, Colorado. Enjoy painting, crafts, wine or beer, music and fun surprises in our low-stress art classes. 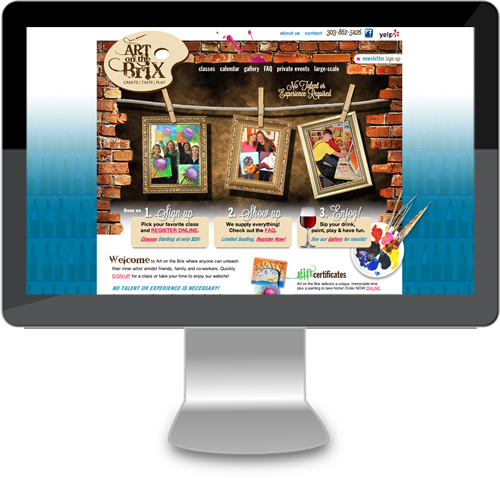 For Art on the Brix, we created a basic website.